And for the dining, shopping, aesthetics and much more available today. The Village has everything from healthcare and financial services to schools and churches, a terrific farmers market that runs May to October, plus shopping that is unparalleled. 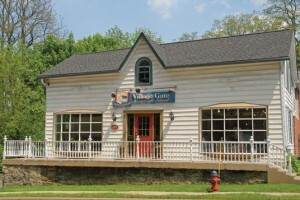 Drop by and see all that the Ancaster Heritage Village has to offer. 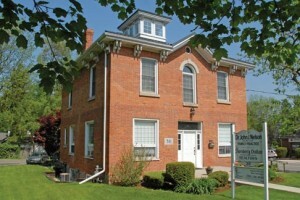 The Old Township Hall was built in 1871 at a cost of $2700 and opened on December 28, 1871. It has undergone two important renovations since. The Old Township Hall has been the site of community affairs ever since opening, still retaining its handsome and dignified appearance. The Hammill House dates from the 1830’s and was used as a grocery and butcher shop for many years. It served as the municipal centre, police office and council chamber until the new municipal building opened in 1966. 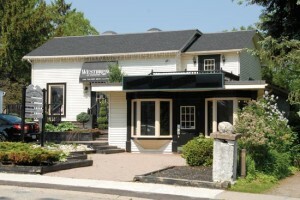 Current home of Ancaster Minor Sports Association and Ancaster Heritage Village BIA. 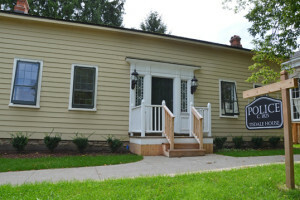 The Tisdale House is located between the Township Hall and the Hammill House. It was moved to this location in 1999 to preserve its identity as the oldest house in the village. 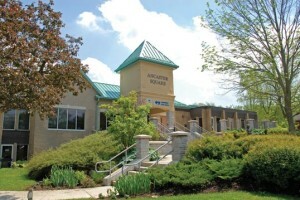 Current home of Ancaster Community Police. Ancaster’s Municipal Building was constructed in 1965-66 to house municipal operations and a library. Many changes have taken place to the interior of the building since amalgamation with the City of Hamilton. 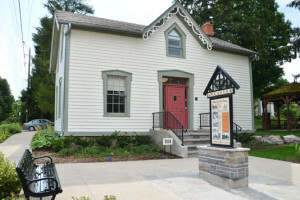 The downstairs is used principally as a Community Service Centre, for the Ancaster Information Centre, and for Police Services. 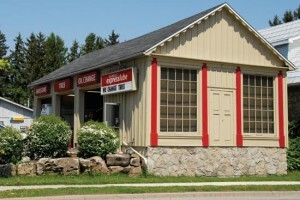 The Gurnett Store has housed businesses since 1826, and is the third building erected on the site. It was converted to the current brick structure in 1870 where the Gurnett family had carried on business for several generations. One of its important claims to fame was that it housed the first telephone in Ancaster in 1883. Currently B.P. 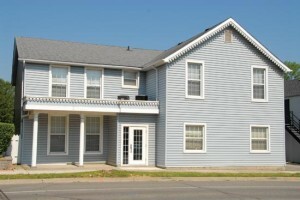 TAX GROUP, G. WALKER REAL ESTATE, LYLE ELECTRIC and CONNOR, CLARK & LUNN occupy this building. St. John’s Anglican Church is probably the most impressive structure in the village. It is situated on the peak of a hilltop and can be seen from many directions. 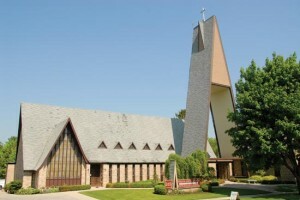 The parish was originally founded in 1816. The Anglicans shared the Union Church with the Presbyterians until destroyed by fire in 1868. 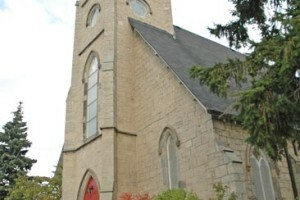 The new impressive church, built of local limestone, was re-opened in May of 1869. The cemetery contains many tombstones dating back to the early 1800’s. 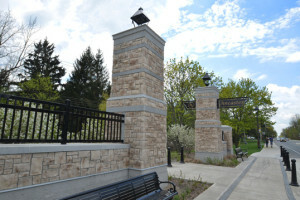 In July of 2012, the Ancaster Heritage Village was proud to open the gateway to the west end of the Village. Though not ‘heritage’ in years, the gateway is heritage in style. The Gateway also marks the entrance to the Heritage Rail Trail. This building was originally a carriage factory, built in 1868. Currently it is the home of BICK ADVISORS – INVESTMENT PLANNING COUNSEL. The New Zion Church was originally built in 1869 and eventually became RYERSON UNITED CHURCH which was built in 1959-60. Built in 1824, Chep House was owned by James Chep who was a general storekeeper. Chep was the first Township Treasurer and Ancaster Village Postmaster and eventually became a Lieutenant Colonel in the local militia. Currently, you’ll find WESTBROOKE OF ANCASTER, STRAND’S HAIR DESIGN, CONCORD STEEL AND MARSH CONSULTING. This building was constructed before World War I and was once the site of John Farr`s blacksmith shop. 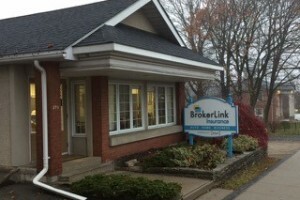 Currently it houses BrokerLink Insurance. 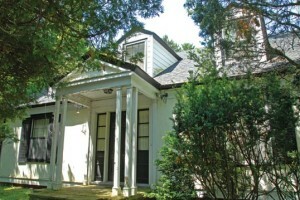 This house was built in the early 1840’s by Augustus Halson whose son Robert lived here. He was a saddler and a merchant. Currently, this is a private residence. Orton House was originally a one storey cottage in 1860 built by Thomas McMurray. Dr. Orton, a later owner, added a second storey and the belvedere on the roof. The building now housesDR. J.B. NELSON, THORNBERRY OUTLAW, and DOMINION LENDING CENTRES. One house was the residence of David Hyslop, and the other his store. About 1906 the store became the Bank of Hamilton, later the Canadian Bank of Commerce, the only bank in Ancaster for many years. Currently, this is a private residence. 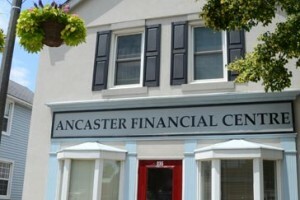 The original building at 335 Wilson St. E. burned down and was replaced by a two storey stucco building with a drug store downstairs, later a butcher shop, and now ANCASTER FINANCIAL GROUP. The Richardson Farmer Ashworth House was built in 1872-73 by David Richardson as a wedding present for his son Dr. Henry Richardson who practiced here until 1894. Several other medical practitioners have used this building as their headquarters. 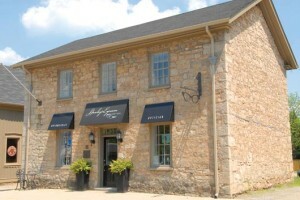 Recently renovated to host THE SPA AT ANCASTER. This has been a business operation since the mid-1850’s. Originally a bakery and general store, later a butcher shop, then several other bakers and a fish and chip store. It once had outside baking ovens at the rear. 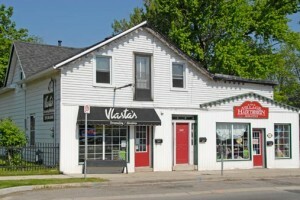 Today you’ll find VLASTA’S and VILLAGE HAIR SALON. 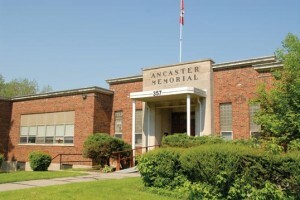 The Ancaster Memorial School was built in 1947. This building was used as a store by Jean B. Rousseau. It became a drug store and a post office from 1877 until the new post office was opened in 1961. 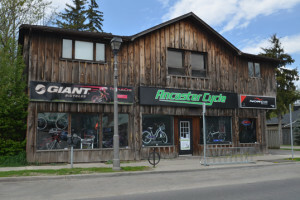 It was then used as a hardware store until replaced by the current business,ANCASTER CYCLE. 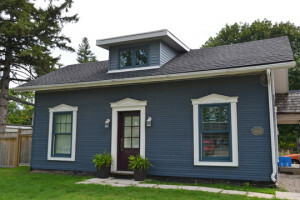 Roussseau House was built in 1838 by George Brock Rousseau, grandson of Jean Baptiste Rousseau. 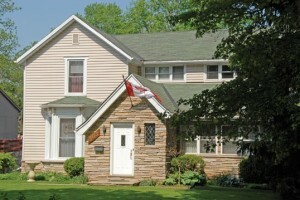 Renowned Canadian Artist Frank Panabaker lived here from 1939 until his death. 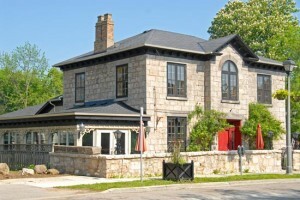 It is now ROUSSEAU HOUSE RESTAURANT. Noted for its two great windows, each with 25 panes of glass, Moore House was constructed about 1820 and was used as a workshop and undertaking business. It currently houses GLENDALE EXPRESS LUBE. 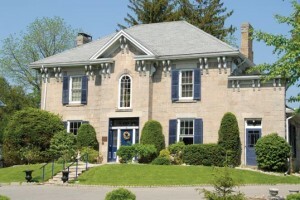 Seymour Lodge was built about 1821 and is currently the home of No. 272 A.F.A.M. The current building at 423-425 Wilson St. E. replaced an older building which was destroyed by fire in 1868. Anson Raymond operated a drug store here, sold groceries and candies, and made men’s clothing and overalls. Currently, this is the future home of THE BARRACKS INN. Built far back from the road, Mount Mary Immaculate was originally built in 1933 by Fenner Dalley, a manufacturer and wholesale dealer in groceries and druggists’ sundries. His most famous product was ‘2 in 1 shoe polish’. 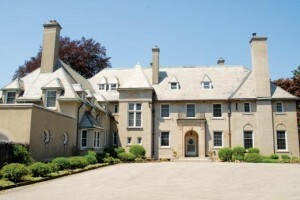 The estate was purchased by a Catholic Order, ‘Sister Servants of Mary Immaculate’ who had a High School for girls built. It is now used as a retreat. 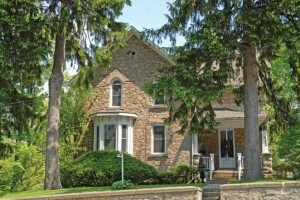 Gable House was the home of Jacob Gabel, who operated a tannery behind the house. It was gutted by fire in 1940, and rebuilt by Fenner Dalley. Today it is a private residence. 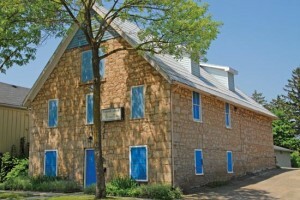 Milling flour has been one of the most important and oldest commercial activities in Ancaster. The Old Ancaster Mill, currently known as The Ancaster Mill, was constructed in 1863 replacing four former mills. Its location on a stream at the edge of the escarpment, is evidence of the importance of water power in pioneer days. 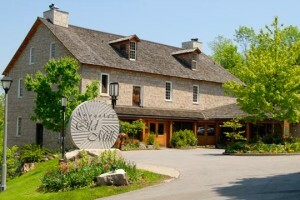 It is now the renowned ANCASTER MILL RESTAURANT. Built about 1860, Brandon House was the home of Dr. John V. Brandon who practiced medicine here and in 1833 was also the owner of a cigar box factory. Brandon House is currently a private residence. Dating from the early 1820’s, this building housed merchants and their businesses. Today you’ll find the VILLAGE GATE MONTESSORI SCHOOL. Dating from the early 1820’s, this building housed merchants and their businesses. 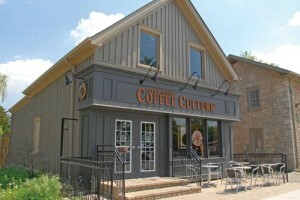 Today you’ll find the CREATIONS GALLERY andCHASE REALTY. 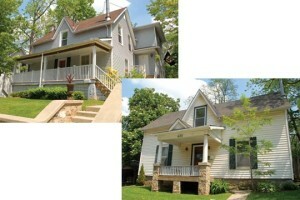 These houses dating from the early 1820’s housed merchants and their businesses. They are now private residences. Dating from the early 1820’s, this building housed merchants and their businesses. Today you’ll find THE NEEDLE EMPORIUM. Egleston House was built by Alonzo Egleston who came, with his brother Hiram, from New York State in 1832 to become industrialists here. Egleston built this house in 1846 and it has been considerably modified over the years. Note that the Eglestons built the Old Ancaster Mill in 1836. Today you’ll find CLAZZIQUE SILK FLORAL DESIGNS andANCASTER DISCOVERY GARDENS. Marr House was built about 1840 by Adam Marr who was a cabinet maker and conducted furniture and undertaking business. Phillipo House was built about 1840. John Phillipo was a stone mason and village constable. It was later a barber shop and is currently HANLEY’S EYEWEAR BOUTIQUE and EUPHORIA AESTHETICS. 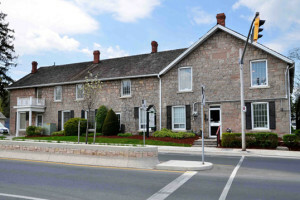 The Old Union Hotel was built in 1832 for George Rousseaux, St. John Rousseaux’s son. At least the front part of the building dates from 1832. The rear of the building dates from about 1860 and was added during rebuilding after a fire. These days you will findBASKETS N BUNDLES, KARI’S OF ANCASTER, SALON MEJON and PHIL SHEIDING & ASSOCIATES. 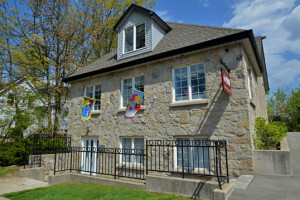 The Old Stone Hotel was the stable for Rousseau’s hotel at 386 Wilson Street. The front half was built in 1832 and the back half in 1854. HANLEY’S SHOES and THE LOFT now operate here and you’ll also find THE COACH AND LANTERN PUB. Postan House was built by Mrs. Thomas Postans, Senior, about 1860. A member of the Postans family lived here until the demise of Miss Fannie Postans in the 1970’s.